L'ICCROM ha annunciato la sesta edizione 2del corso sulla Conservazione del Patrimonio Costruito in programma dal 4 marzo al 29 aprile 2016 a Roma. La scadenza per le iscrizioni è il 28 agosto 2015. Per concepire questo corso l’ICCROM è partito dalla proprio esperienza e ha osservato le tendenze e le riflessioni internazionali più recenti nell'ambito della conservazione del patrimonio costruito, che include edifici, siti, centri storici e paesaggi culturali. Il corso è rivolto ad un grande pubblico di operatori e responsabili delle politiche di conservazione, poiché posiziona le questioni tecniche all'interno di un contesto più ampio della conservazione, al fine di collegarsi ai temi della pianificazione e della gestione. La prima parte del corso permetterà di conoscere l'insieme dei diversi approcci che definiscono il patrimonio, l'evoluzione di diversi concetti, e gli approcci chiave attualmente in uso nella conservazione del patrimonio costruito. La seconda parte del corso sarà dedicata ai temi della pianificazione e gestione relativi al processo decisionale nella conservazione. La terza parte del corso metterà l'accento sugli aspetti tecnici, come la documentazione, la valutazione delle condizioni di conservazione, diversi trattamenti esisteni, nonché l'interpretazione e l'accesso del pubblico. L'ultima settimana del corso sarà dedicata ad una tematica inerente il Patrimonio dell'Umanità, la cui gestione ha implicazioni per la conservazione e la gestione del patrimonio culturale in generale. Il corso si svolgerà in lingua inglese. Sarà richiesto un certificato di lingua a chi non ha inglese come lingua madre o non ha seguito studi superiori in inglese. Il costo di iscrizione è di 900 €. ICCROM is pleased to announce the sixth training course on Conservation of Built Heritage in Rome. ICCROM has been a pioneer in organizing courses in heritage conservation since 1965 including the Architectural Conservation Course (ARC) and many other regular courses and most recently the course on Conservation of Built Heritage for five consecutive intervals since 2007. In designing this course, ICCROM has drawn from this experience, evaluation results and considered the most recent international trends and thinking related to conservation of the built heritage, including buildings, sites, historic centres and cultural landscapes. The course aims at serving a wide range of conservation practitioners and decision makers by placing technical issues within the broader conservation context in order to link them to planning and management concerns. The first part of the course will consist of an overview of the current practices of defining heritage, evolution of different concepts and key approaches currently used in built heritage conservation.The second part of the course will focus on the planning and management issues pertaining to the conservation decision making process. The third part of the course will focus more closely on technical issues including documentation, conditions assessments and various treatments plus interpretation and public access. The final week of the course may be devoted to one-week module on a selected theme related to World Heritage which also has implications on heritage conservation and management in general. At the conclusion of the course, participants will have a better understanding of critical processes in conservation in order to apply them at the macro/micro levels; improve their strategic planning skills relevant to heritage management; expand their awareness, knowledge, and understanding of current principles and practices in conservation of the built heritage; and enhance skills, judgments, and experience. Training will be based on a multiple activity model including lectures, case studies, practical hands-on exercises, site visits, group work, and classroom discussions. Participants will need to be active and involved during three stages: pre-course preparation, course attendance, and post-course follow-up, networking, and monitoring. During the course, participants will be considered as key resources by sharing their own knowledge and experiences, presenting case studies, participating in course discussions, and participating in group work and hands-on exercises. The course is open to a maximum of 20 participants with at least four years of experience actively involved in the conservation of built heritage. Mid-career professionals and other decision makers in conservation from different disciplines (architects, archaeologists, engineers, planners, site managers, etc. ), either in a position to influence practice or having the potential to do so in the short or medium term, are eligible. Those in a position to carry the messages of the course to a broad audience (for example, trainers who are able to reach a large audience over time) are encouraged to apply. Teaching staff will be composed of recognized heritage conservation professionals having both practical and theoretical experience. They will represent the broadest possible international perspectives in their fields of expertise, and at the same time will be able to bring specific knowledge in order to fulfill each of the course components. In addition they will represent excellence covering a wide geographical scope. English is the working language of the course. Candidates must have strong communication and writing skills in English. A certificate of language will be requested, if English is not your first language or if you have not carried out graduate studies in English. Participants will be responsible for their round trip travel costs to and from Rome. In order to cover accommodation and living expenses in Rome during the course, participants should plan for a minimum amount of 3,000 Euros for two months. Candidates are strongly encouraged to seek financial support from sources such as governmental institutions, employers and funding agencies. In cases of proven financial need, and depending on the availability of funding from external sources at the time of the course, a limited number of partial scholarships may be granted. Participants will receive a Certificate of Attendance upon successful completion of the course. Participants are expected to attend all lectures and activities over the full length of the course. Please fill the ICCROM application form and send it together with the documents listed below to the email address: builtheritage2016(at)iccrom.org. In the event that it is not possible to provide a scanned version of the necessary photographs and signatures, it will be necessary to send a paper copy. Describe a conservation project for which you are or have been actively involved. Include the appropriate contextual background (objectives, partners, support, etc. ), a description of difficulties encountered, and the strategic responses developed. In addition to the project described above, what other case studies might you be able to share during your participation in the course? 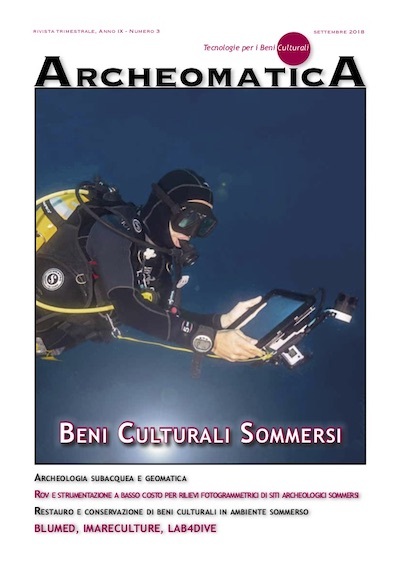 What do you consider as your major achievement in the field of conservation of immovable cultural heritage? Applications should reach ICCROM by 28 August 2015 to ensure inclusion in our selection process.